SQL Server 2017 released on (general availability release) on October 2017 (Really? we are just trying to understand features of SQL 2016, ok, jokes apart :)) SQL 2017 released in parts, its first part, that is SQL 2017 CTP 1.0 (SQL version 14.0.1.246) was released on Nov-2016 (How can they release 2017 version in 2016?). Until now, SQL 2017 has come up with its 10 releases, the current release is SQL 2017 Release GA (SQL version 14.0.1000.169) check here for available releases in October 2017. This version of SQL mainly connects to Linux and brings the power of SQL to Linux. In short, now you can install SQL 2017 on Linux (it's a great move), additionally SQL can be used in linux based docker container also. In this build, SQL gives you development language choice, you can develop it on-premise or cloud-based. In this build, SQL also improves performance, scalability and features, in each of its parts, like Database Engine, Integration Services, Master Data Services, Analysis Services, etc. In this article, we will take a look at them one by one. Following are some Database Engine new features. Do you want to improve query execution performance? Then this feature will help you. This feature is supported in SQL server and Azure SQL databases. 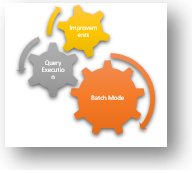 Initially Query optimizer calculates all feasible query execution plan for a given query. Then it gets the lowest cost /fastest plan. Finally, the lowest estimated plan will be chosen by the optimizer to execute query and then execution started. If lowest estimated execution plan may go wrong, then it affects performance. If insufficient memory gets allocated for processing, then it leads to spills to disk. If assigned memory is incorrectly sized, then it leads to memory waste. To overcome all these issues, you can use this SQL 2017 feature. To execute plan faster, it has Hash join and nested loop join, after scanning the first input of execution plan, it decides which join to use to produce output in optimal speed. Interleaved Execution In interleaved execution, it takes a 'pause' in optimization execution plan, if it encountered multi-statement table valued functions. Then, it just calculates perfect cardinality and then resumes optimization. This feature is available in SQL 2017 Azure DB, here it basically identifies and corrects the order of indices. The indices which are removed and indices which are added. The graph database feature is newly introduced in SQL 2017. What is Graph DB ? In SQL 2017, there is performance improvement in Database tuning advisor (DTA) with additional options for tuning advisor. Please refer to the documentation to learn more about adding programming exercises within your contribution. If you want to know more about it, then you can check here. SQL 2017 introduces some new string functions like TRANSLATE, CONCAT_WS, STRING_AGG, TRIM. Let's take a a look at them one by one. in the above syntax length of 'characters' should be same as 'translations', otherwise the above function will return an error. e.g. output of the above example will be *6(10+10)/(6-4)**. so, we can see curly and square braces translated to round braces. You can also use database column names instead of hard coded strings. This function will not remove spaces that lay in between the string. It concatenate values of string with the help of separators and does not add separator at the end of the string. The input could be VARCHAR, NVARCHAR, optionally you can specify the order of the result with the help of WITHIN GROUP clause. From now onwards, there is no SSRS setup available with SQL server setup, you need to download it from download center [here]. You can now add attachments to your comments. You can add comments to reports. We know SQL 2016 is now supporting R services, it has now renamed to SQL Server Machine learning services. With the help of this, you can easily use R or Python scripts using SQL server. In this new feature, Python can be run in stored procedure, even you can remotely execute it using SQL server, this will really helpful to Python developers. Currently, this feature is not supported on Linux, we need to wait for the next announcement. To use machine learning in an intelligent and powerful way, SQL uses the following solutions. revoscalepy is the new library to give base to high performance algorithms, computing and remote contexts, it is basically based on RevoScaleR (It is a package of R services). microsoftml is the Microsoft R server package that supports machine language algorithms, Microsoft developed this library for internal machine learning, but over the years, it has improved and supports fast data streaming, large text transformations, etc. To know more about SQL on Linux, switch here. 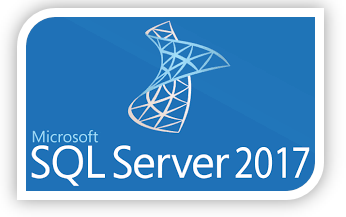 Finally There is lot to talk and learn about SQL Server, we will continue this journey in the next version of this article, till then enjoy it. Suggestion and queries are always welcome.